Yup, I always love to joke about how Michael Bay actually directed this series when he didn't. So far, I've seen more than half and I'm WAITING for Millionfold Curiosity to finish this dynamite of a series. 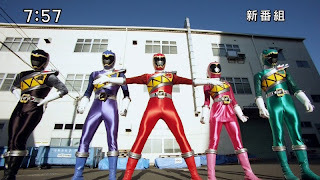 This would remembered as the series that brought in the use of spandex to depict the Super Sentai suits which are actually made of some kind of metal on paper. 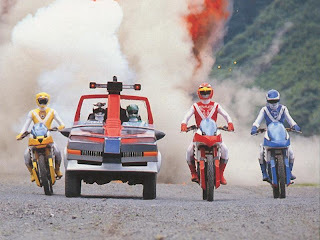 Should we wish that Bay would make a Dynaman movie? 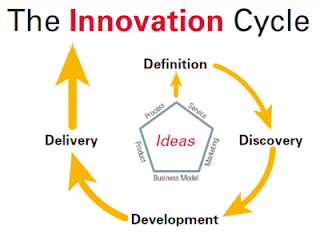 Sharivan is the answer to the success of Sharivan, wasn't it? Sharivan introduced the legendary Hiroshi Watari into the big screens. So far, I haven't seen much of Sharivan but I'd like to see it from start to end when I can. The last time that Hirohisa Soda actually created a masterpiece worth watching. I admit, the finale was starting to show signs of Soda starting to wear out from working on too many scripts but it was a pretty good series. For me, this is one of the most breakthrough innovative series ever written in the late 80s. It was trying to fit in the unethical use of science from both Bioman and Flashman. Before that, we had Hikari Sentai Maskman which was a decent attempt at writing a love story for Super Sentai. 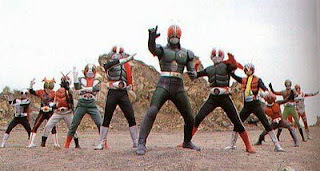 The success of Kamen Rider Black resulted in its much less popular sequel Black RX. I know, I've read lots of criticisms about it but I think it's fine but not a good show. Maybe, I'm just being biased because I still freaking hate the failure Saban's Mashed Rider (which is THAT HORRIBLE) until this very day. It was also trying new stuff like multiple forms and getting his friends more involved in the second half of the show. Unlike Black, it was loosely tied. It ended the Showa era and left an 11 year hiatus until Kamen Rider Kuuga revived the Kamen Rider franchise. 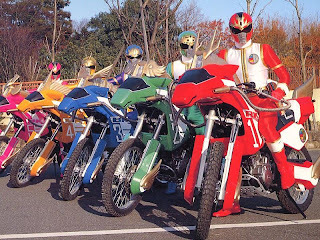 Zyuranger was good in its own way but I do have extreme favoritism for Dairanger. It would be the first kung fu themed Super Sentai but second in the martial arts motif if you count Maskman. It was trying to improve on the concept of Aura Power which Maskman started. It also blended in Chinese mythological elements to create an entirely unusual show. 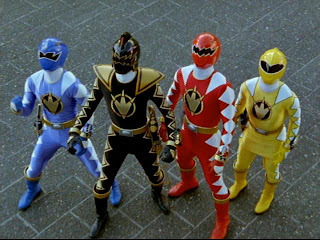 Years later, Gekiranger would try to redo the motif by mixing it with wild animals instead of mythological animals. There's also a lot of interesting story arcs such as Jin Matoba's rivalry with Ryou, Daigo's Ah My Goddess love story (and seriously, his actor Tatsuya Nomi committed suicide) and the Three Stooges. "If America has a Robocop then Asia also has a Robocop!" was the tagline I remembered before ABC-5 became TV-5. Well, that's Janperson the second Robocop inspired hero. Unlike Jiban, he's 100% mechanical though his appearance is clearly based on Robocop. 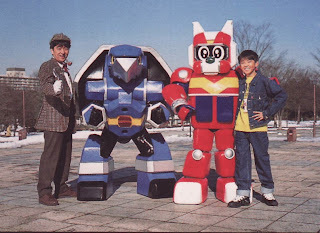 Like Winspector, Solbrain and Exceedraft the show had no real monsters of the week. However, it had three main villain factions who oppose each other in their plans to conquer Japan and the world. IMO, it's still way better than the Robocop TV series which came a year later after this show. Hopefully, Megabeast Empire can finish this one ASAP because it's a pretty good series. Definitely Yasuko Kobayashi's debut as a headwriter after she worked on as a major contributor to Megaranger. While I personally thought Flashman should have been the one named Gingaman but I thought this series was pretty good in its own way. The show was trying to blend in a lot of stuff while trying something new. 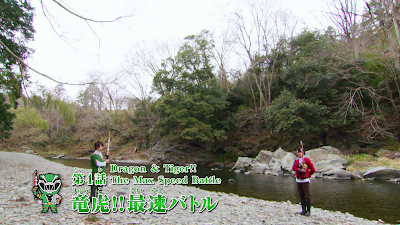 On the other hand, I wonder why did they name it Gingaman when this show was nature-themed? Wouldn't the name Seijuman be more appropriate since they dealt with Starbeasts as their main mecha? Definitely the last of the Metal Hero series. 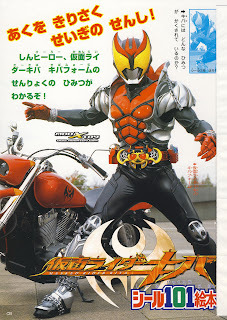 The series fell into decline since B-Fighter Kabuto followed by Kabutack. It got too kiddie which may have estranged longtime fans of the franchise. I haven't seen it to critique it but I hope I can see it. 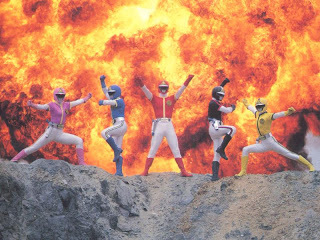 After Zyuranger, there was Abaranger which creates the second part of the dinosaur trilogy. 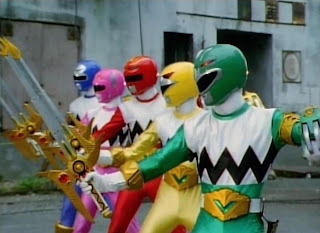 Strangely, it's a dinosaur Super Sentai on Mighty Morphin's 10th anniversary than Zyuranger's 10th anniversary for some reason. Naruhisa Arakawa made his debut as a head writer though I saw Dekaranger and Gokaiger first. IMO, this is my favorite of the dinosaur trilogy. This was all written by Toshiki Inoue. Heck, longtime fans may notice that Inoue was so proud of his work that he actually showed up at the end of the series! This was pretty much a dark series discussing the human vs. Orphnoch war. 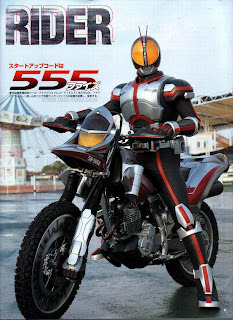 Personally, I still feel pretty mixed in Kamen Rider Faiz's being too gloomy and too dark. I also have my bad habit of comparing Inoue's ups and downs in here to what happened with Yasuko Kobayashi during Go-Busters. Strange oddity to strange oddity. Go-Busters celebrated its 5th anniversary last year and Go-Onger celebrates its 10th anniversary this year. 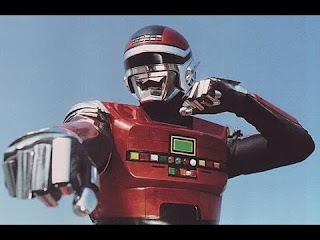 Go-Onger was also the source material of Power Rangers RPM and I've had a bad habit of comparing Go-Busters to RPM. What's amazing to know is that Power Rangers writer Judd Lynn himself is also a fan of Go-Busters. This was another attempt at comedy Super Sentai similar to Carranger. While some fans don't like it but I actually do watch it to get a good laugh. Others can't stand how ridiculous it is. One could say this is Toshiki Inoue at his worst because he was freaking burnt out! Yes, the whole show has a lot of past references and he had no idea what to do. I admit, I really compared it to Danny Phantom for fun. 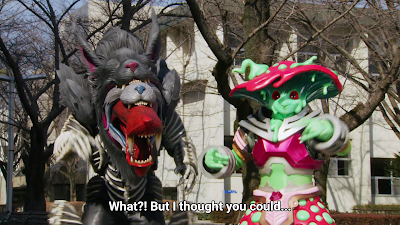 Like Kamen Rider Den-O it was a fun deviation from the nightmare fuel in exchange for something lighthearted. Inoue though had many instances of hit or miss with this show but I still love how the show turns horror elements into a very lighthearted show. I still enjoy this show even if it's considered the lowest point in Inoues's career as a head writer for Kamen Rider. I remembered this one airing when I finally developed some taste fatigue and decided to watch it a year or two after it ended. I started to check things out and it had a lot of amazing fight scenes. It was pretty much trying to improve the dance theme of Battle Fever J. I still have a problem with this show is Daigo Kiryu tends to be obnoxious in contrast to red rangers who tend to get a lot more focus than usual. Funny how I don't find Lucky all that annoying screaming "YOSHA LUCKY!" for some reason. 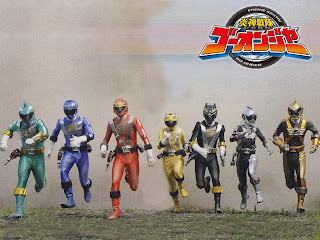 Otherwise, it's still fun in its own right even if I prefer Abaranger over it. I admit, I started losing heart with Super Sentai with 2013 and yes, I still don't like Kyoryuger except for its cool action scenes. But what about Gaim? 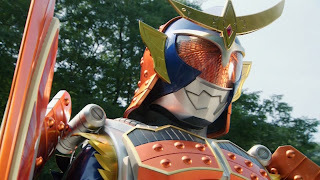 I admit, Gaim has to be one of the best new school Kamen Rider ever written or maybe it's just my bias because I ironically prefer new school Kamen Rider over new school Super Sentai. Hehe. Let's not forget...Toei Spider-Man celebrates its 40th anniversary this year.